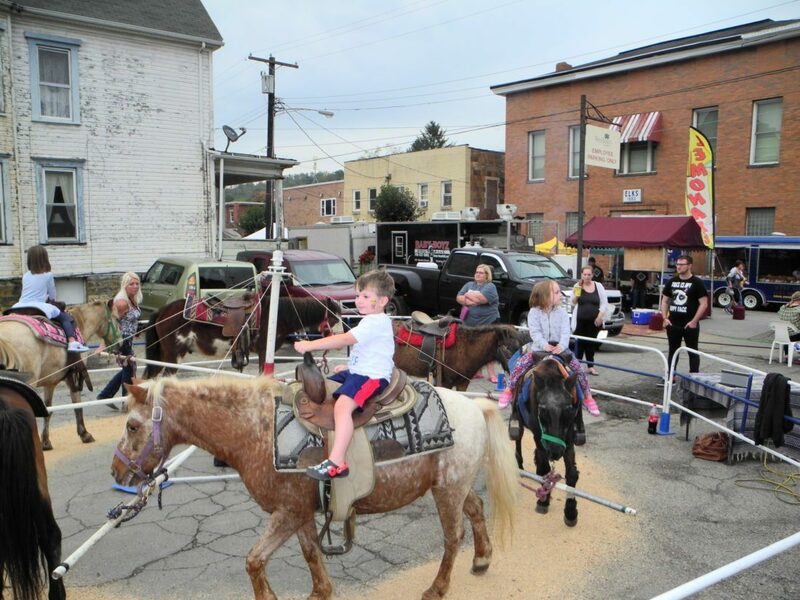 File Photo Above, pony rides will again be offered at this year’s Wellsburg Applefest set for Saturday and next Sunday. It’s that time of year again. The kettle corn, the sound of fiddle playing and meeting of old friends are on tap at the annual fall celebration known as Oglebayfest on Friday, Saturday and next Sunday at Oglebay Park. This city park, known for its pristine rolling landscape, gorgeous gardens, spacious cottages, lodge and other fine amenities, will once again open its arms wide and welcome all to the fall festival. Much of the celebration is free or at reduced prices. The festival was started in 1978 on the 50th anniversary of the park. This year marks the 90th anniversary of the park. Oglebayfest opens at noon Friday and continues through Sunday evening. The traditional Oglebayfest Parade will begin at 9:30 a.m. Saturday at the Good Zoo. And don’t forget the spectacular fireworks display at 8 p.m. Saturday over Schenk Lake. At 9 a.m. Sunday, the annual Oglebayfest 5K Run/Walk will kick off at the entrance to the Good Zoo. Oglebayfest is a tradition for scores of area families who come together to enjoy all that the festival offers. 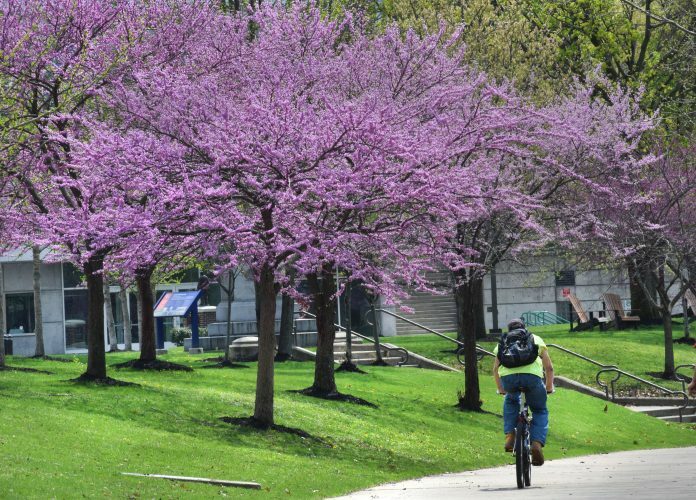 The festival serves as the annual thank-you from the Wheeling Park Commission for the public’s continued patronage and support. At the Hilltop Area, visit the Carriage House Glass and the gift shop. Don’t miss the new Hilltop Coffee & Tea area, located inside Carriage House Glass. Next door is the Farmhouse Sweets & Treats Shoppe where visitors can enjoy Kirke’s Homemade Ice Cream, seasonal gifts and sale items. Back again is the popular Artists and Gourmet markets, located at Mansion Woods beside the Mansion Museum, offering a variety of goods, crafts, artwork and food for sale. Visitors are encouraged to sample the wines, cheese, sweets and other offerings to tempt the tastebuds. Then head down to the Good Zoo, take the kiddies on a train ride and visit the animals preparing for the winter season. Visit the Ohio County Country Fair at Site 1 adjacent to the zoo. (See story below). From there, the German Rathskellar beckons visitors to enjoy some German cuisine, beer, music and ethnic dancing at the Hess Shelter located at the Children’s Center. The nearby playground will keep the younger set happy as well. At Schenk Lake, there will be pony rides, clowns and inflatables for the younger set. Adjacent to Hess Shelter is Oglebay Institute’s Schrader Environmental Education Center offering nature trails, animals, children’s area and Samara Shop. Admission is free. Musical entertainment can be found throughout the park, including at Wilson Lodge and the Rathskeller. From 4:30-6 p.m. Friday, the Road Hogs will entertain at the Rathskeller at Hess Shelter; then from 6:30-8:30 p.m., there will be a performance by Marsh Wheeling String Band; followed from 9-11 p.m. by Hit Play. From 5:15-6:30 p.m. Friday, Eli Lambie will perform at Hickman Lounge in Wilson Lodge and from 9-11 p.m. Friday, Marcus and James will entertain at the Glassworks Grill at the Lodge. From 11 a.m. to 7:30 p.m. Saturday, Alpen Glow German Band will perform at the Rathskeller. Also, a surprise musical guest will be on stage at the Rathskeller from 8:30-11 p.m. Saturday. Admission is free, however visitors must be 21 to enter. Free bus shuttle transportation is available throughout the festival grounds. For a complete schedule of Oglebayfest events, go online to oglebay.com. Downtown Wellsburg will be packed with people and apples, of course, Friday through next Sunday for the 40th annual Wellsburg Applefest. Much of the activity during the three-day event is focused on the Town Square, including a children’s pumpkin decorating contest from 2-3 p.m. Saturday. New this year are a live painting contest for all ages, the addition of a children’s category to the All Things Apple baking contest and an assortment of live entertainment and food and craft vendors as well as carnival and pony rides. Ernie Jack, chairman of the Wellsburg Applefest Committee, said last year’s addition of a marketplace where youth 15 and under may sell a variety of items, from handmade crafts to old toys, was quite popular and will be back beginning at 9 a.m. Saturday on the square. Applications for the market can be found at the Wellsburg Applefest’s Facebook page or the Brooke County Public Library. For the Paint Wellsburg contest, participants will be asked to create art inspired by the city while anywhere within the city limits on Saturday. The artists will gather at the library at 8:30 a.m. and will have from 9 a.m. until noon, when their creations will be judged on the town square. There is a $20 registration fee for adults and teens, with cash prizes of $100, $50 and $30 awarded to those who place first, second and third place. There is no registration fee for youth ages 8 to 12, who also may win prizes. The entries may be sold on the square, with 30 percent of proceeds going to the library foundation. Those not sold will be displayed at the library for a month. The deadline to register for the contest is Monday. To register or for details, call 304-737-7295. Keeping with the apple theme, the Apple Everything baking contest will be held at 2 p.m. Sunday, with registration at 1 p.m. on the square. In addition to two categories for apple pies and other apple based food, there will be a category for apple based food made by children, ages 9-16. 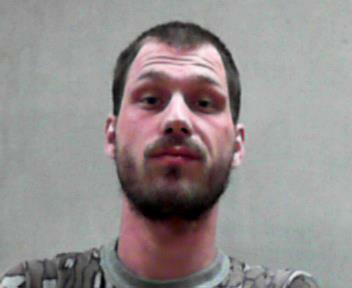 For information, call 304-737-4702. Also on the Applefest schedule are a pet show open to a variety of animals, with 18 trophies to be awarded, at 11:30 a.m. Saturday at Sixth and Charles streets; the crowning of the Applefest Pageant winners at noon Saturday on the square. The festival opens with a 10 a.m. Friday ribbon cutting by kindergarteners from Brooke Primary South, the Applefest’s entertainment lineup will include Marvin Whiteman at 2 p.m., Lily Corathers at 4 p.m.; and Roz and Lynn, 6 p.m. Friday; Beech Bottom Apostolic Church at 10 a.m., the Brooke-Hancock Senior Dancers at 1 p.m., Elvis tribute artist Robert Dale at 2 p.m., the Studio B dance team at 4 p.m., Toni Gray at 5 p.m. and The Phoenix band at 6 p.m. Saturday; and Kaleigh Patterson at noon, 40 Plus at 2 p.m. and Chelsea Matta Householder and Margi Kellar at 4 p.m. next Sunday.